Never trust a happy beat: No matter how carefree a song may sound, lyrics almost always reveal deeper motive and meaning. This could not be truer for Everything Turned to Color’s new single, “Once Upon a Lifetime.” A melody with the easygoing, nonchalant attitude of a She & Him tune disguises a lament for more time with a lost friend. 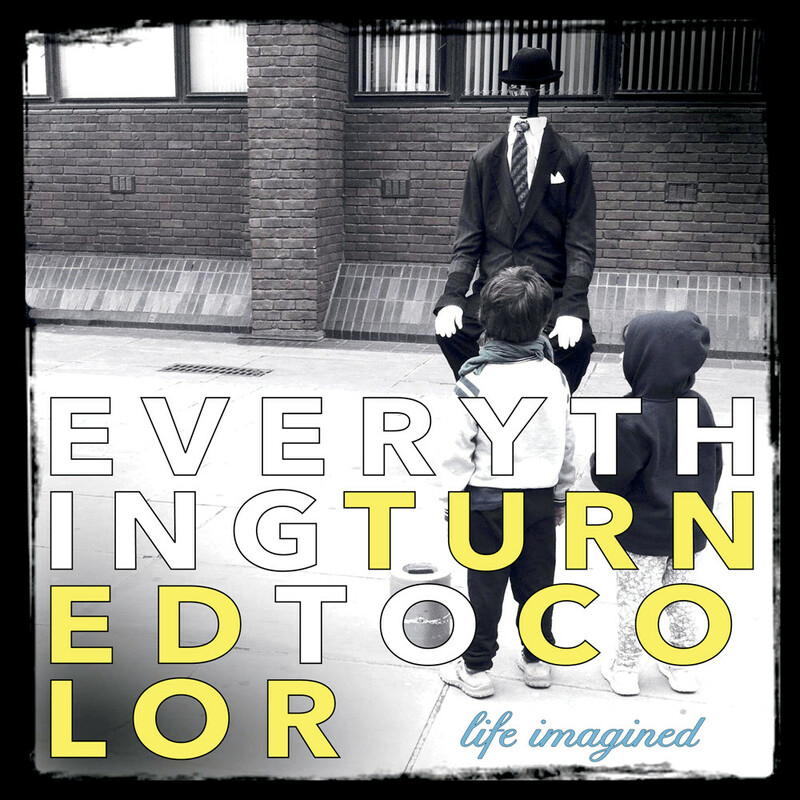 Atwood Magazine is proud to be premiering “Once Upon a Lifetime,” the sophomore single off Brooklyn trio Everything Turned to Color’s debut album Life Imagined (independently out June 23, 2017). Comprised of brothers Bryan and Kyle Weber and their classically-trained neighbor, Neha Jiwrajka, Everything Turned to Color pay as much attention to sweet, enchanting harmony as they do to thoughtful, probing lyrics. “Once Upon a Lifetime” is bittersweet, a heartfelt expression of loss, nostalgia and longing. We don’t know the time we have until it’s too late. We take for granted those around us, assuming that no matter how far we dive into our own rabbit holes, eventually when we come back home everyone will be there to greet us with bright smile and warm hugs. If only life were so easy! Everything Turned to Color deal with death in a very provocative way: We hear an internal struggle between honoring the life they knew and the time they had together, and mourning the time that was lost, and the life that was lost alongside it. One the one hand, it makes sense that they opted for a happy melody… yet on the other hand, one has to wonder what the darker version sounded like. When did it go from wallowing in the struggle, to attempting celebration? The trio’s closing verse is particularly powerful, as they lay the foundation for honoring the memory of their friend through action – carrying on the “effervescent love” that was lost, through the instilling of such values in the next generation. This is the richest part of the song, and it knowingly ends in a brief pause before the final chorus. Everything Turned to Color; even the band’s name suggests bright, vivid imagery! The Brooklynites deliver through acoustic enrichment, embracing deceptively simple, yet daringly catchy melodies. Guitars flail throughout the sugary “Once Upon a Lifetime,” with cascading riffs and shimmering chords keeping the background in constant motion as the trio unleash torrents of soft, playful vocal harmonies. Hopefully their songs are not so bubble-gum that those deeper meanings are lost; “Once Upon a Lifetime” is absolutely beautiful because of its moving blend of music and sentiment. Life Imagined is out June 23, 2017. In advance of the album release, Everything Turned to Color will be touring both coasts extensively – see tour dates below, and look out for more from this charming trio. It may not be happily ever after, but “Once Upon a Lifetime” still steals our hearts.